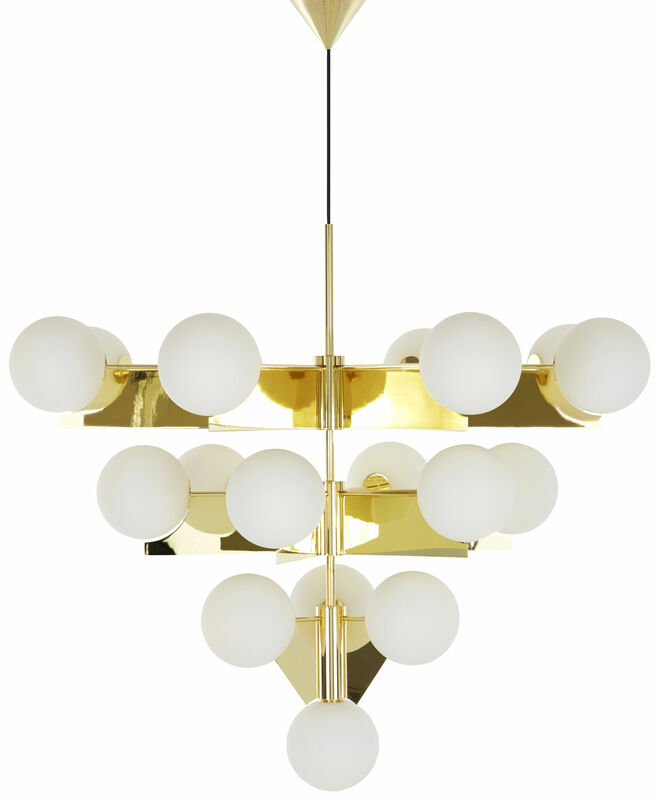 A new addition to the PLANE collection, where a confident use of simple geometric shapes creates a minimal, sculptural aesthetic: a brass-plated statement chandelier comprising of 18 double-layered white glass spheres distributed over four tiers. This space-filling classic chandelier creates a dramatic feature in any hotel lobby, dining room or restaurant. 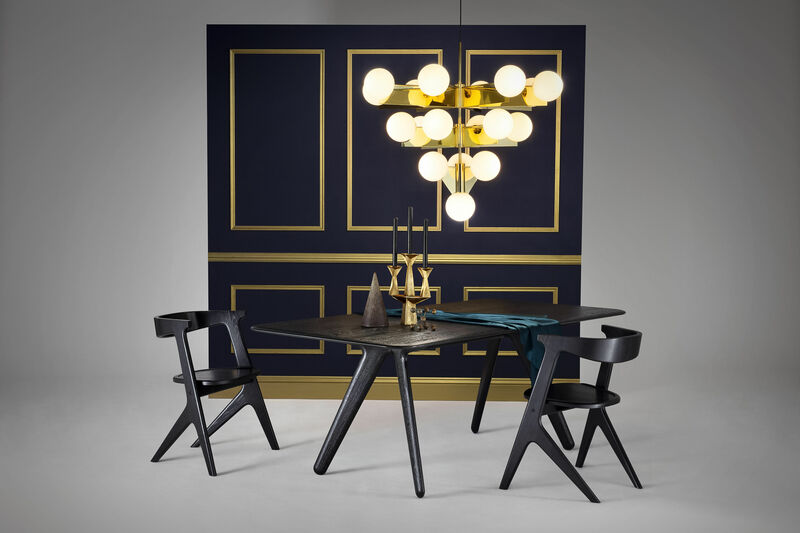 The PLANE collection also includes round and triangle pendants, and a table light.